This national park is located in northern Russia in the Arkhangelsk Oblast districts Kargopolsky and Plesetsky, It was established in 1991 and has the status of the UNESCO Bioshere Reserve. The center of Kenozersky National Park’s northern part is Lake Kenozero which is the biggest lake in the region. The park’s headquarters are found in the village of Vershinino which lies on the northern shores of the lake. In the southern part of the park you will find Lake Lyokshmozero. Here you will find cultural monuments and for tourism this park is orientated on ecotourism. There are a number of trails. Visitors will find several wooden architectural monuments such as Porzhensky Pogost in the west which includes St. George church with a bell tower from the 18th century which is surrounded by a wooden wall with gates and towers. This is only accessible by a pedestrian trial. Within the park are 322 species of terrestrial vertebrates among which are 50 species of mammals and 263 birds. You will find the European lynx, pine marten, hunt mountain hare, red fox, and raccoon dogs, wolves, and moose among others. A frequent visitor is the brown bear and enjoys feeding on the plants and berries found here. It will also hunt the moose and wild boar after it comes out of winter hibernation. Smaller residents include the ermine and weasel. 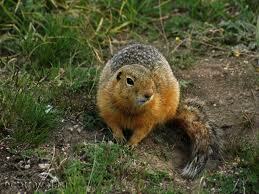 In the coniferous forests you’ll discover the red squirrel and in the river valleys flying squirrels. There are five species of bats and four species of reptiles among them the viviparous lizard, grass snakes, and the European viper. The most numerous of birds in the park are the chaffinch, greenish warbler, tree pipit, European robin, and redwing among many others. In the wetlands the grouse family resides with other waterfowl like the black-throated diver and mallard ducks. There are 28 species of fish in the lakes and rivers including whitefish and pike. Lots and lots of flora with 53 species that are listed as rare and endangered. Altogether in this park are over 300 lakes, various rivers and cascading streams. The people who call this home live in the ancient and trusted ways. Their houses are made of wood and often two stories on which the ground floor is occupied by farm animals. The families live above to conserve heat. There are intricately carved balconies with wooden shutters. Important is local folklore with epic poems which are passed down from generation to generation and can be recited in detail by the elderly villagers. 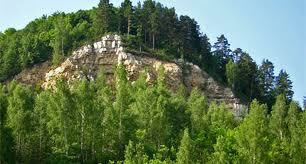 Kargopol an ancient city south of Kenozersky Nationa Park has nine white stone churches. In the village of Morschikhinskaya which is the park’s southern”capital” by Lake Lekshmozero visitors can stay in the comfortable rooms of the park’s modern visitor’s center. For hikers there is the Hizhgora Hill route that takes people along the steep divide between the White and Baltic Sea basins. At the end of this trail you will find the wooden church from the 19th century Church of Alexander Svirskoy on top of Hizhgora Hill which is the highest rise in this area. 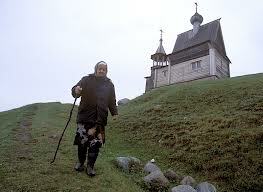 Other hiking trails take visitors to the old Makarevsky Monastery which was founded by monks in 1640 and lies on the shore of Lake Khergozero. Further on is the 17th century St. George Church. 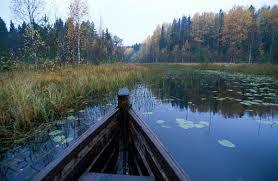 Here you will also find well preserved taiga forests and forested hills lining Lake Kenozero. Along Lake Lekshmozero there are spruce, pine, and deciduous trees growing on knolls all through the park. On the hillsides and in the valleys are quaint wooden chapels with have dome-shaped ceilings that are painted with images of saints. This is a haven for nature lovers. Kenozersky National Park also offers boating, hiking, cultural and historical attractions and overnight accommodations. Visitors can arrange boat excursions to the many islands and peninsulas of the lake and guided hikes through the woods. It is pleasant to enjoy a hot Russian banya or steam bath then followed by a cool dip in the lake and a traditional meal. In the summer visitors delight in white nights when the sun hardly dips below the horizon. Fishermen love fishing in the lakes and artists and photographers find inspiration here. The park is known to host ecological camps for children. It is an active participant of programs of the Russian-Norwegian Intergovernmental Commission on Nature Conservation and is an important site for cooperation among countries of the Barents-European Arctic Region. In the village of Ust Pocha there is a Russian-Norwegian carpentry school. Visitors come here from all over the world. Accommodations can be found in rustic, comfortable cabins, traditional village houses or tents.